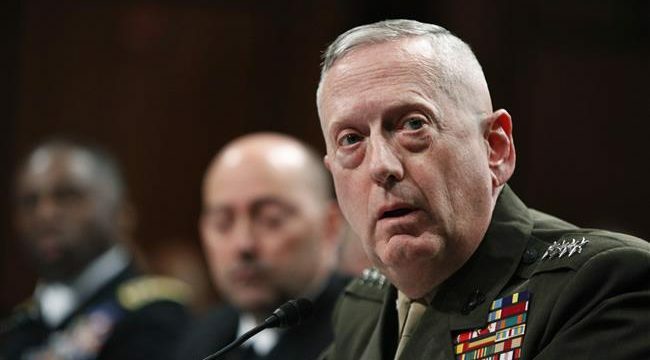 Alwaght– US Defense Secretary James Mattis downplayed civilian death caused by the so-called anti-ISIS coalition’s airstrikes in Iraq and Syria, saying such casualties are merely “fact of life”. Mattis remarks came a day after Pentagon admitted that at least 105 Iraqi civilians, including 42 children, were killed due to a US Air Force fighter jet airstrike on a building in the embattled city of Mosul back in March. US officials have repeatedly acknowledged the reports that that US-led airstrikes against purported ISIS positions in Iraq and Syria had led to heavy civilian casualties on several occasions over the past weeks. In the latest in a flurry of attacks by US forces against civilians the US-led coalition has attacked a convoy full of civilians fleeing the ISIS capital of Raqqa, killing at least 20 people, the Syrian state media reported Sunday. New York Times published a report on May 25, saying US Airstrikes on alleged ISIS positions in Iraq and Syria have killed thousands of civilians. The American daily cited Airwars, a nonprofit group that tracks reports of civilian deaths in Iraq and Syria, as saying that at least 3,100 civilians were killed in American-led airstrikes from August 2014 to March 2017. American officials, however, severely underestimate civilian death toll in Iraq and Syria putting it at only 352. “We have already shifted from attrition tactics, where we shove them from one position to another in Iraq and Syria, to annihilation tactics, where we surround them. Our intention is that the foreign fighters do not survive the fight to return home,” Mattis claimed. The US and a number of its allies have been pounding parts of Iraq and Syria since 2014. The campaign has yet to yield any meaningful achievements besides destroying hospitals and other critical infrastructure.